It was only a couple of weeks into the new year when 14-year-old Grant Thompson discovered what is now considered to be Apple’s worst screw-up yet. Thompson was using Apple’s newest feature, Group FaceTime, when he realized that there was a major flaw in the feature. He placed a FaceTime call to one of his friends, the friend failing to pick up, he added another friend to the call. Thompson and his friend on the line realized they could overhear what was going on in the background of the first line called. Even though the friend did not pick up the phone, Thompson and his friend were still able to eavesdrop through the call. Thompson tested this discovery with a few other friends and then proceeded to inform his mom about this glitch. His mother, Michele Thompson, decided to bring up the issue to Apple Support by sending them a video explaining the discovery. She did not receive a response and then decided to bring this issue to Apple’s attention in whichever way she could. She made various posts on multiple social media platforms, such as Twitter and Facebook, tagging Apple and to inform others of the problem. It was not until nine days later that Apple finally made an official response about the bug after an article written by a developer on 9to5mac.com gained mass attention. 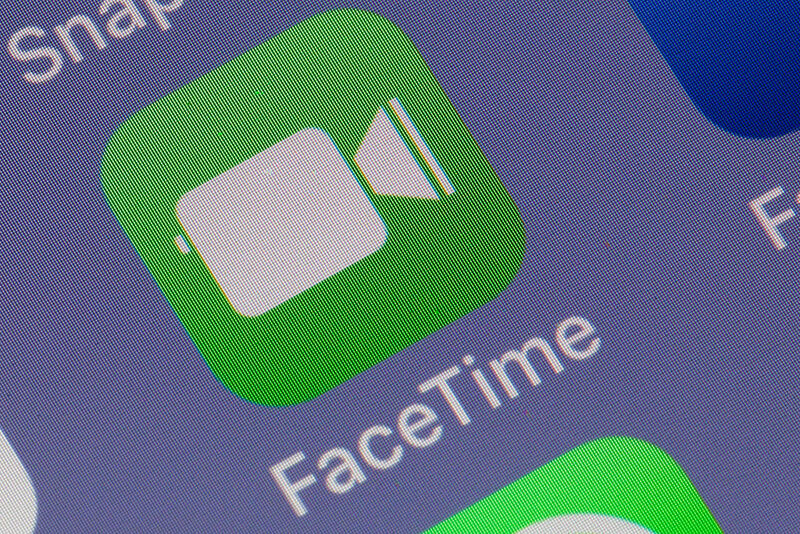 Apple then proceeded to disable the Group FaceTime feature and commented that they have been working on resolving the problem, which would be released with the newest version of IOS. Group FaceTime had been previously requested by a high amount of Apple users. At a developer’s conference in June, the company announced that their latest version, IOS 12, will include the forever longed multiple people video chatting feature. Finally, the idea of being able to video chat with more than one person at a time would be a reality soon enough. Apple then stated the specific earmark would not be released with the first release of IOS 12, but instead would release it in future updates. After the official release of IOS 12 in September 2018, IOS 12.0.1 was released in early October 2018. This update still did not include Group FaceTime. It was not until the end of October when IOS 12.1 was released that certainly the “anxiously-waited-for” feature was included. Apple decided to then release the first in a series of updates, which was IOS 12.1.1, on Dec. 5, 2018. Within two weeks a second update followed, 12.1.2. It would be at this time that Thompson detected the bug and Apple would quickly update again five days later. All versions of the series have the bug, but the newest update, 12.1.4, is to come with the issue resolved. Apple has always been a reputable company that takes pride in their cyber security. However, this most recent incident has put them under a hot, white light. The flaw in the feature created potential risks if it would have been found by someone with malicious intentions. Despite the flaw itself, Apple took more than a week to acknowledge it when initially notified by Thompson. Developers have now named the matter “FacePalm” because it is one of the worst bugs to date by Apple. Their newest update is expected to be released sometime later this week. For now, all Apple products users that are not using the FaceTime feature and it is recommended to disable the feature via settings.